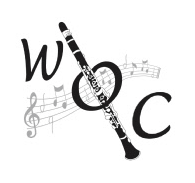 Come and join a fun, advanced clarinet group! Wendy Marks formed the group in October 2012 when she realised there were several high-standard clarinettists in her wind band WOW (West Oxfordshire Winds) who needed more of a challenge. The group is now attracting players from neighbouring counties and has regular bass and alto clarinettists alongside the standard Bb instruments. Any players of Grade 6 and above are welcome to join. We don’t hold auditions, but a reasonable sight-reading ability is expected.